Crazy about the Springdale / Zion area? 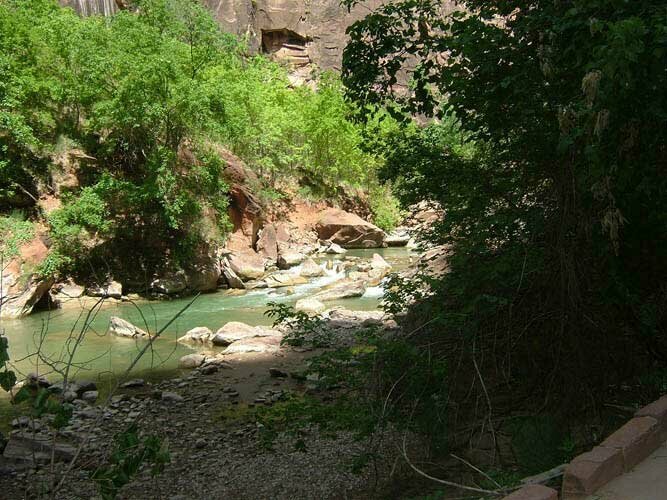 Would you love an affordable property near the mouth of Zion National Park? We know Springdale, Utah and Virgin, Utah Real Estate as good as anyone! As you drive through Springdale Utah on your way into Zion National Park you will be awed by the scenery around you before you ever enter the park. As you enter the park you can park over near the information center. From there you can get maps, buy gifts or just head over to the shuttle area and head into the park for your next adventure in Zion National Park! The skyscrapping walls will tower over you as you head through the park, around you can see hundreds of plants and animals thriving together in this one of a kind experience. There are a number of short hikes for young and old to access the beauty of the park. Because Zion is on the Colorado Plateau while bordering the Great Basin and Mojave Desert it features plant life from both regions. Fee is based on vehicle capacity. Rates range from car to full size bus. This is the ultimate specialty burger place! Highly Recommended by everyone! This is the most popular place to eat in Springdale, Utah! Yummy Pastas and Pizza! Affordable as well. A quaint cheap cafe for the waery traveler. Everything is pretty good. This is a mexican restaurant. Recommended for low key romantic dates or drinking. It is a little pricy. Why should you use US to BUY or SELL real estate in Springdale, Utah? Use Bob Richards the Next Time You BUY or SELL Springdale, Utah Real Estate! Care - We celebrate with and take care of our clients long after the transaction is finished. Consider it Done! Hard Work - We work more hours, more intensely and more effectively than any other team. Consider it Done! Expertise - Bob has consistently been one of the top 5 producing agents in the county for 15 years!!! Consider it Done! Experience - Bob and Shauna Jo have more than 20 years experience surpassing the goals of their clients!